Frustrated at grade IV? Fearful of grade V? Secretly seeking grade VI? 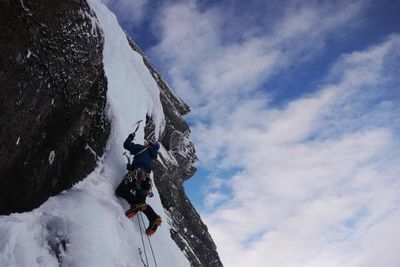 Scottish winter climbing is a unique combination of climbing style, variable conditions and weather. The demands are very high on your skill, stamina and equipment, and therefore the rewards are equally high. 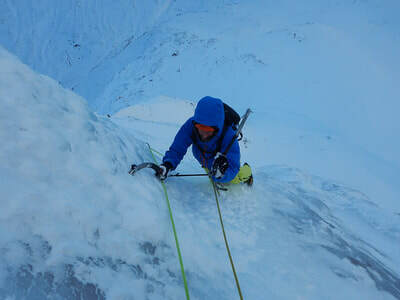 Modern ice climbing was invented in Lochaber but the techniques have been developed and refined over the years. 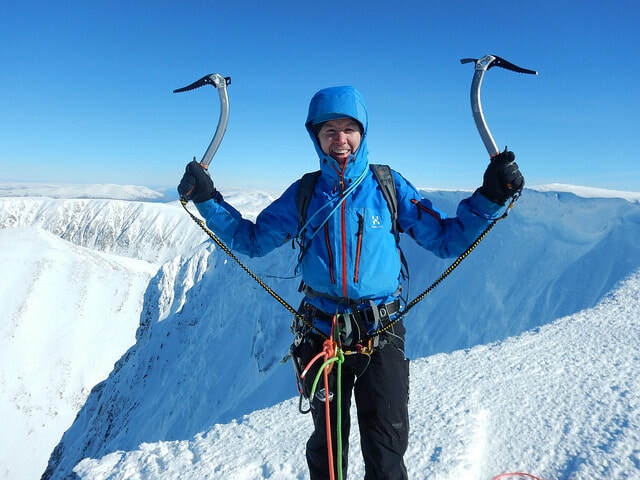 This weekend workshop will give you expert coaching in ice climbing and dry tooling, followed by the chance to climb a challenging route to put your new skills into practice straight away. But there is more to ice climbing than climbing ice! We will help you choose the right climb on the right day and to tackle it in the right way. ​It can take many years to judge the formation of each different type of climb according to the prevailing weather. Learning from a local mountain guide with many years experience of getting it right (and wrong) will save a few wasted trips! Getting your tactics right is key to success. We will give you the skills to help prepare you for your next climb, get your kit right and improve your mental approach. ​With better climbing skills, better tactics and a better mental approach you can make the move to the next grade with confidence. If you would like to book onto the workshop please get in touch to check our availability and make a booking. Can't make the dates planned? Take a look at our Winter Climbing page and book your own private course on the dates of your choice. Choose and climb a suitably challenging route for you and the conditions. Put your new climbing skills into practice and draw on the experience of one of Scotland's best climbers. Also included in the price is a ticket to either the Studio or Main event on Friday or Saturday night at the Fort William Mountain Festival. Just let us know what you would like to see when you make your booking.